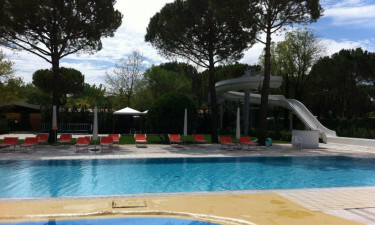 Italy Camping Village - Adriatic Coast, Italy - Welcome! The Italy Camping Village is a fantastic luxury camping site situated by the beach on the stunning peninsula of Cavallino. This region, which sits between Lido de Jesolo and Sabbioni, acts as a divide between the sea and the spectacular Venetian lagoon. It is in close proximity to Venice, one of the most beautiful cities in the world; and is ideal for families or singles who want a top quality camping site with a brilliant choice of entertainment and cutting-edge amenities. When you are staying at Italy Camping Village you have access to all facilities at Camping Union Lido, which is situated right next to Italy Camping Village. The camping holiday site is in one of the most stunning areas in Italy, and is absolutely perfect for camping luxury: it not only offers the choice of a bungalow tent, a luxury tent, or a mobile home; it also provides all the mod cons, and has a wealth of entertainment including: adult and children's swimming pools which are warm all year round, on-site swimming lessons, a welcoming mini club for the young ones, and a jam packed sport and recreational program to suit all guests. 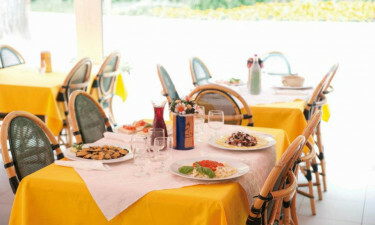 Why should I choose Italy Camping Village, near Cavallino? St Mark’s Square and Venice Lido are a 30-minute motor boat ride away; here you will find historical places of interest, art galleries, museums, gondola rides, and shopping centres. A wonderful beach bar, restaurant, pizzeria, snack food outlet and supermarket are at your disposal, making luxury camping possible.